Our little part of El Dorado County was once a center for business and industry for the Sierra foothills, in fact we boast the third oldest depot in California. The destination of choice before the rail extention to Placerville and beyond. The Gold & Silver mines brought the Placerville & Sacramento Valley Railroad to Shingle Springs and a town rapidly grew. 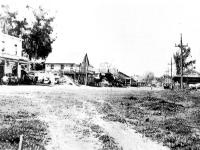 Like many towns in California’s mother lode, Shingle Springs grew on the site of a mining camp set up by gold miners and those early entrapeneurs that supported the California Gold Rush. It took its name from a horse-drawn shingle machine located near the springs at the western edge of the camp. In 1865 the Roadroad terminated here and the new Silver mines of Nevada further pushed the need for a trade center. Located on a divide that separates the watersheds, creeks to the north flow to the South Fork of the American River; and on the south, to the Consumnes River. The cluster of cool, clear springs surrounded by oaks and sugar pines made this spot a natural stopping point for emigrants traveling along the Carson Emigrant Trail. One such traveler, David B. Scott, was so impressed with this area that when his party disbanded he returned with a group of men in 1850 and erected a shingle machine near the springs, from whence the town took its name. Operated by horse power, the shingle machine produced sixteen thousand shingles a day, worth between $800 and $900 delivered at Sacramento. Mining began in the area in 1850 and met with varying degrees of success. The canyons and gulches surrounding the camp were fickle, some hardly worth working, while some were extremely rich. Slowly, the camp grew, and miners’ cabins stretched out along the gullies and creeks. the Planters House erected by R.S. Wakefield in 1852. The general store in 1857, near the Planters House, the store was an instant success, thanks to the patronage of the local miners. The Wells Fargo & Co. Building is located on the south side of the Mother Lode Highway. This handsome, two-story structure was built with semi-dressed native stone and features deep-set, arched doorways in both the lower and upper stories. The peaked, wooden roof once common throughout the Gold Country was still intact, unlike many of its contemporaries prior to the mid 1990’s, but the one time elaborate balcony that stretched across the face of the building has long since disappeared. Referred to historically as the “Stone House”, the building once housed both the the Phelps Store and Jake Harris’ store between 1913 – 1917. 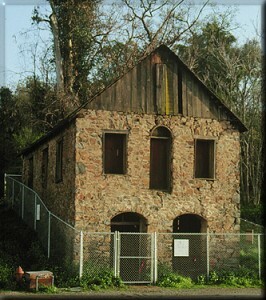 Although several attempts were made throughout the years, the Stone House was finally demolished quietly in 2000. The Shingle Spring post office operated from 1853 to 1855. Reverted to Shingle Springs in 1955. We have tried to give you a little information about our terrific neighborhood. Thank you for visiting.